About the project: The Price House was designed around a central north facing courtyard for a young family. 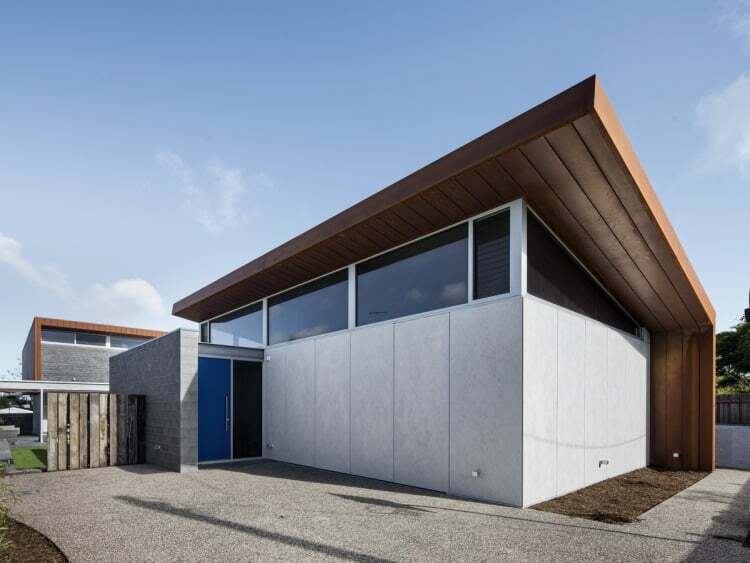 Located in the inner township of Torquay on Victoria's Surf Coast, the home responds to the street interface by revealing little about the internal workings. Extensive use of glazing, rusted steel cladding and cemintel "bare stone" panelling allow for a low-maintenance exterior that will age gracefully over time.